Food donation bins at Rochester, N.Y.-based Foodlink, which will be part of the sustainability exhibit on food waste in the GIS building during Imagine RIT. Here’s some food for thought for visitors to the Imagine RIT: Innovation and Creativity Festival: it’s estimated that approximately 40 percent of edible food in the United States goes to waste. According to the Natural Resources Defense Council, a U.S. household of four will spend up to $1,800 each year on food that is never eaten. Callie Babbitt, an associate professor in RIT’s Golisano Institute for Sustainability, is among more than 25 GIS researchers, faculty, staff and graduate students hoping Imagine visitors will walk away from the festival after learning important information about the many effects of food waste as part of the “Imagine Sustainability and … Food” exhibit that will take place in the atrium of the GIS building on April 28. Exhibitors are asking visitors to use the Twitter hashtag #wasty so they can see examples of food waste live during the festival. A stream of images from this hashtag will be displayed in the GIS building, with the goal of educating people about the prevalence of food and packaging waste. “We were inspired by the popular Internet series, Tasty, which shows catchy meal preparation videos and recipes, as well as the trend of photographing your food and sharing the picture on social media,” Babbitt said. In addition to the #wasty activity, festivalgoers will have the opportunity to play a game that tests their knowledge of what can be recycled or composted so they can be more sustainable at home. The exhibit also will provide visitors the opportunity to learn about area efforts to donate food and how food materials can be used to produce valuable products for agriculture and construction. In addition to the #wasty initiative, GIS Associate Professor Tom Trabold and his students will demonstrate how food and paper waste can be converted into a sustainable ink that can replace conventional black inks derived from fossil fuels. The New York State Pollution Prevention Institute (NYSP2I), meanwhile, will highlight NYSP2I’s Sustainable Food Program during the daylong festival. All of RIT’s large dining halls work collaboratively with Recover Rochester, a club launched in 2012 when a student doing a research co-op at GIS on food waste took a closer look at the university’s food practices. 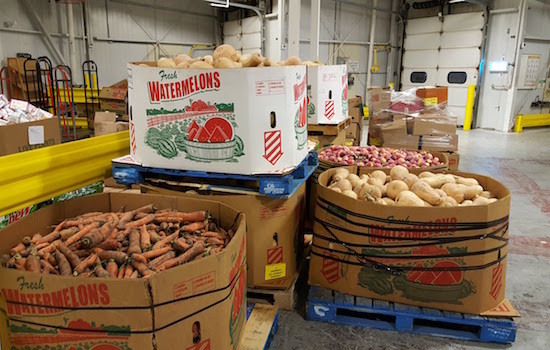 Through that program alone, RIT annually donates thousands of pounds of food to Rochester-area shelters and meal centers. RIT FoodShare, using an active Facebook group, targets leftover food from the many campus events. Event hosts post to the Facebook group notifying people when there is leftover food. The program also features a no-questions-asked food-sharing center. Like RIT, many restaurants, hotels and institutions have begun diverting waste cooking and frying oil into biodiesel production, which can often provide significant savings over the costs associated with grease removal and disposal. Despite such efforts, much work remains to combat waste, Babbitt said.